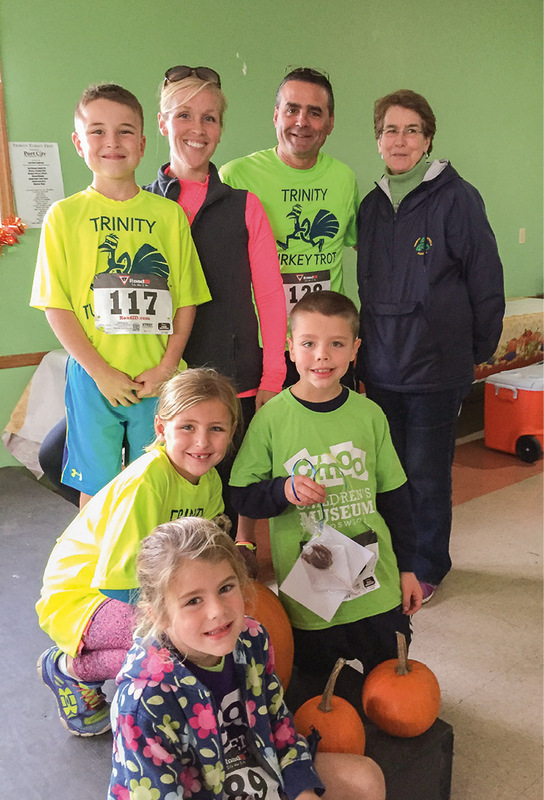 Trinity Catholic School in Oswego held its 1st Annual 5K Turkey Trot in November. The event was organized by parent, Laura Bond, back row, second from left, and made possible through the generous sponsorship of Port City Chiropractic and several other local businesses. There were 177 participants at this timed event—including Catholic Schools Superintendent and Oswego resident William Crist, back row, second from right—with prizes awarded to top contenders in several age categories. Proceeds from this event will be used to promote the health and wellness of the students at Trinity Catholic School, according to Principal Barb Sugar, back row, right.